What can I say, they are wonderful subjects for photographs but they give me the creeps when they look like this. I went out into my garden this morning before seeing the theme and captured this shot. By the way, the white flakes are ash from the area forest fires. Wow, what an awesome capture! That’s a very big spider it seems. It was big enough for me! What an amazing shot!! looking at that spider really creeped me out.. 0_0…. Sorry about that! They normally retreat back in the tunnel so this was a lucky shot. It is totally fine! Its a great shot nonetheless!! 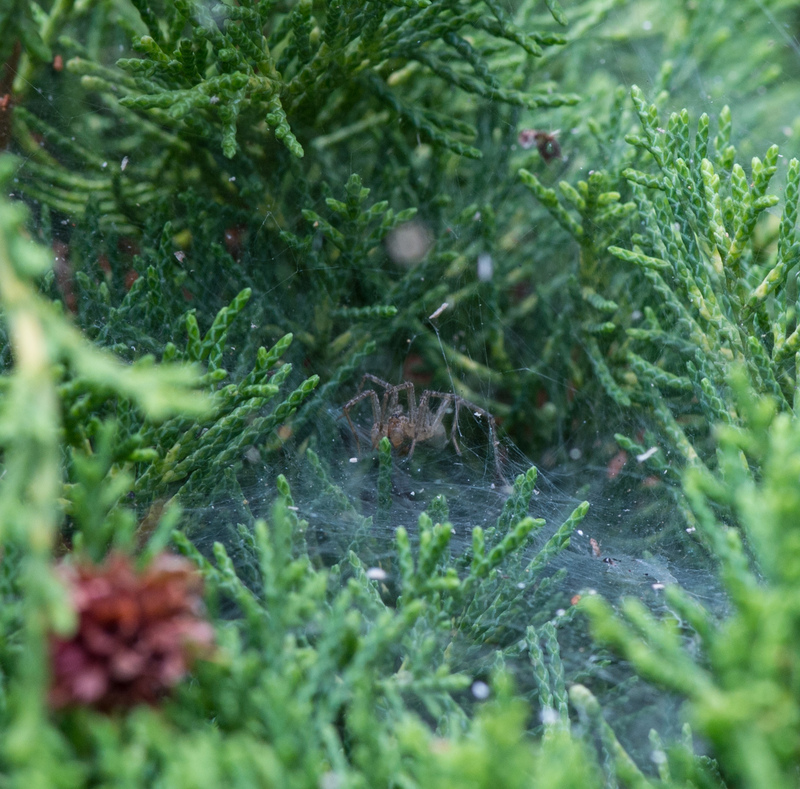 Oh, what a tangled we we (they) weave… Great shot of what looks like an enormous spider! Eew! Spiders can definitely be creepy. This one is! Must be a good photograph! It’s creeping everyone out!